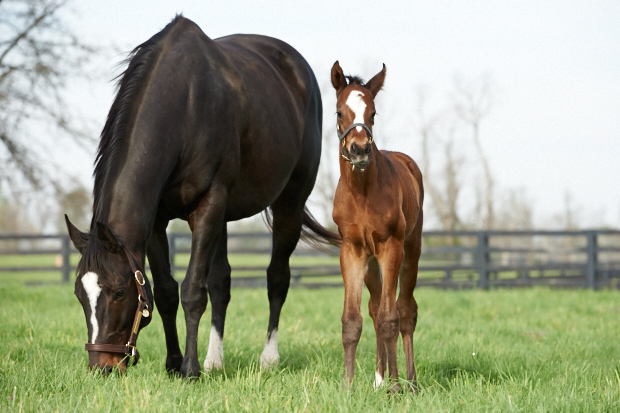 Zenyatta has given us three beautiful foals in three years. She excels at motherhood, a role she wholeheartedly enjoys.From the start, Zenyatta’s happiness and well-being has been our top priority. Following the birth of her perfect new filly, we have decided to honor her by giving her a year off from foaling. She will not be bred this year. Zenyatta continues to be in good health and excellent condition. She will have time to rest, mentally and physically, and to enjoy being a horse in one of the most beautiful places in the country. We would like to thank the wonderful people at Lane’s End Farm for making all of this possible. We’re so proud of our Queen! P.S. Zenyatta may be taking a year off, but Zenyatta.com is not! We will be right here as your only official source for all things Zenyatta, Cozmic One, Ziconic, and 14Z. She is magnificent and deserves the best treatment possible — glad she will be resting — we all need a break sometimes — human and equine.